~You can print the label on regular light weight paper and then glue to the bottle. Simple, easy, straight forward. ~You can take it to the next level and print it on white self adhesive label paper, like this kind from Avery. Cut the labels out and carefully place on the bottle. Again, pretty easy! ~For a simply stunning presentation you can print the label directly onto some plain fabric and then affix to the bottle with spray adhesive. This is my FAVORITE method!! My fabric of choice is a simple crinoline. 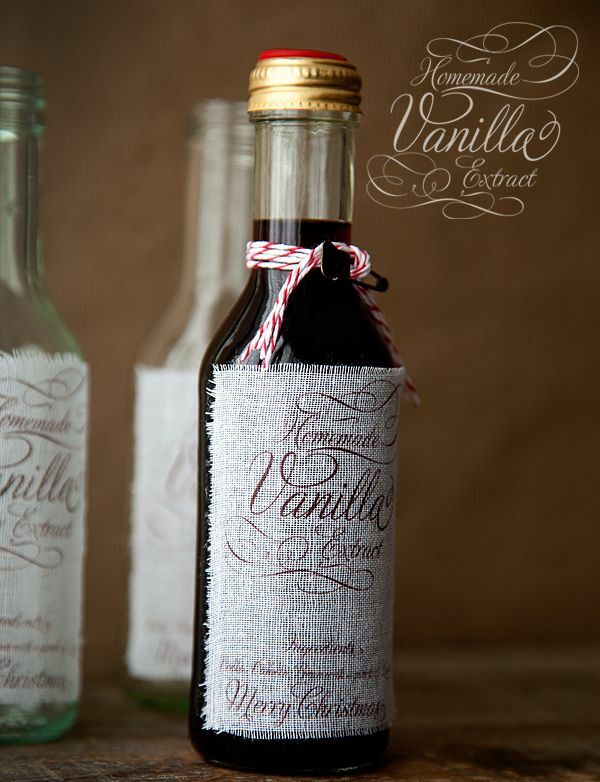 Not only is it elegant, but the sheerness of the fabric lends to a fun presentation if you choose to leave the vanilla beans in the bottle. Any light weight fabric will work for this application as long as it is light in color and light enough to go through the printer. 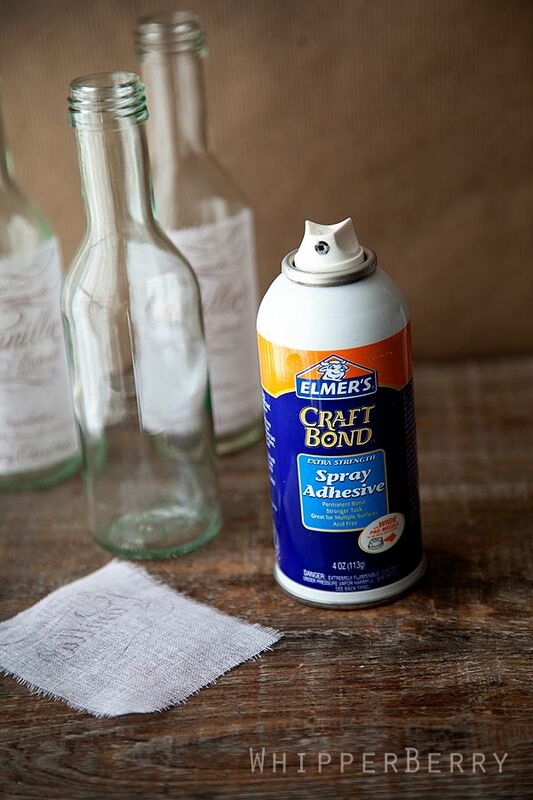 Now, all you have to do is cut out your label, fray the edges, spray with Elmers Craft Bond and carefully affix to the bottle. That's it! All that's left to do is to dress up the bottle. 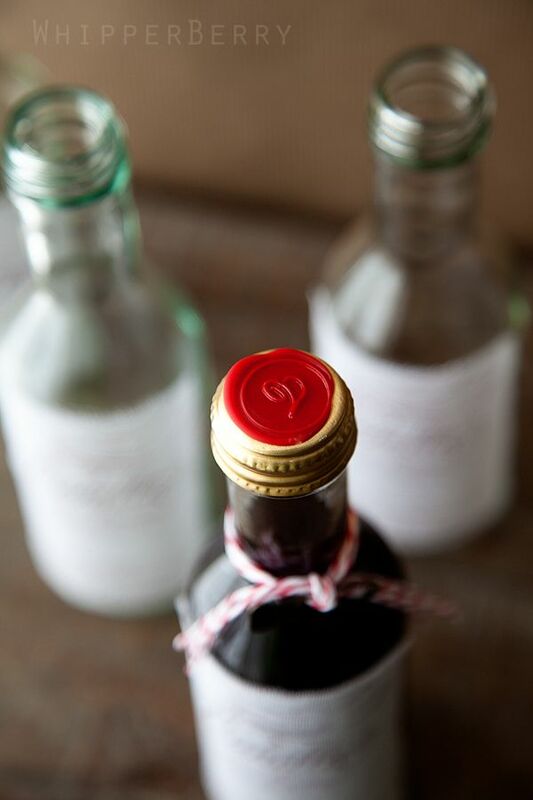 I used some sealing wax and a wax sealing stamp to add the fun red wax element to the lid of the bottle. I then tied some Divine Twine around the neck of the bottle and added a vintage looking pin. Simple and sweet! I know that if someone showed up on my doorstep with a goodie like this I would be thrilled!! Let me know if you have any questions, I would be happy to help!! I absolutely love this! I went to my local grocery store and seen that it’s 12.99 for one vanilla bean! I think I’m going to look into the website you had a link to. Thanks for the printable. Yea, online is totally the way to go! This is just so pretty and you can make just a picture of a bottle look like a million bucks! you are quite an amazing lady 🙂 I love the idea of printing on fabric – very classy. You are so nice! Thank you so much for your sweet comment!! Ok, you are seriously amazing!!! 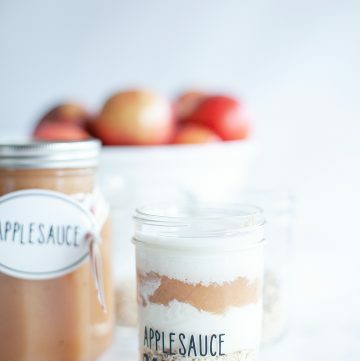 These look fabulous and looks so simple to do!!!! 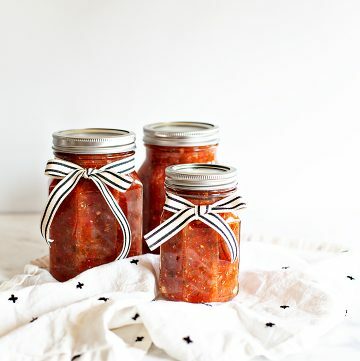 I love the printed fabric look with the twine…so cute!!! thanks so much jocelyn, you made my day! Printing on the fabric is a fantastic idea – way better than the paper stickers I planned on using. Isn’t it fun! It’s just those little details that make something extra special!! I’ve been looking forward to your packaging post. The bottles look simple but classy. And the fabric is a beautiful touch! I’m going to give it a shot. Thanks so much for the ideas and the printables! michele you are more than welcome! I’m one of your blog lurker, but had to say thank you for these beautiful labels and the fantastic tutorial along with the great gift giving idea. Oh my Heather, these are the most gorgeous bottles I have ever seen. 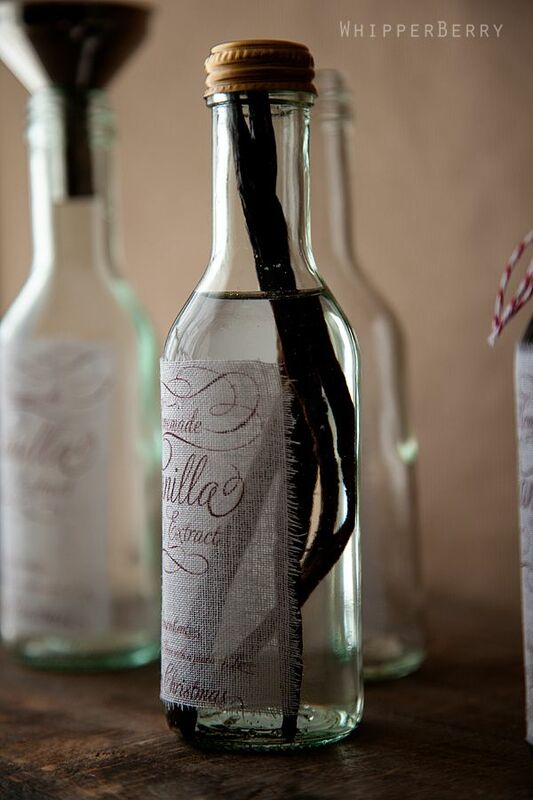 I always make my own vanilla and my bottles never look as gorgeous as this. So I’m new to this craft thing, but I think this looks like a great idea. Where can I find this type of fabric? You’ve done a great job of finding all the other items I need. Thanks so much. I love the printable. Can you tell me the name of the font you use and where you can purchase it? You’re kidding me! Are you seriously THIS amazing? I am DYING over those labels. 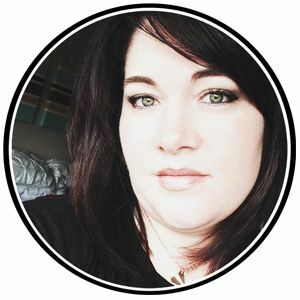 I’m not kidding Heather….I would love to be in your brain for just a few minutes! Awesome. As always! I’ve got some vanilla that has been ‘marinating’ since early summer that I’m using for Christmas gifts. I purchased my vanilla beans on line, buying them in the grocery store is so out of the question! I love your vodka tag and look forward to embellishing my jars with that. Thank you for sharing. Heather…..YOU ROCK! TFS!! Guess what I’m makin’ for neighbor gifts this Christmas!! I love these! 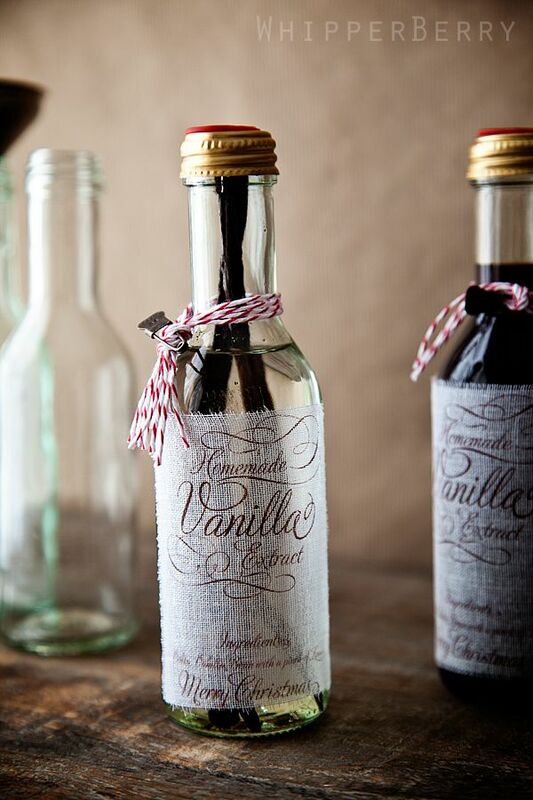 I had pinned someone else’s how to make vanilla…but yours is much prettier! I just ordered 10 vanilla beans from Beanilla Trading Co. Could you tell me whether or not you used 1 bean (since you said you cut them in half) for one jar or 1 cup. Basically I’m wondering if I can get 10 jars worth out of my ten beans? Thanks! I am loving the labels printed on fabric! So excited to try it. 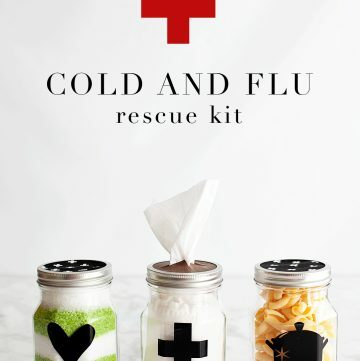 This is a wonderful gift idea! I have some vanilla brewing right now and I think I will have to bottle it up for gifts! I love the idea and rustic look of printing on fabric. you are more than welcome to use it!! I don’t know anyone who would not appreciate this beautiful gift. It’s gorgeous! Thanks so much! I used a combination of Adobe Illustrator and Photoshop to create the tags along with the Adios Script font. Can’t wait to see what you are working on!! 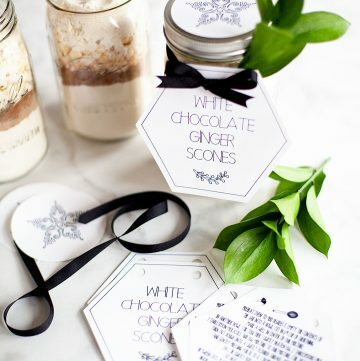 These labels are absolutely gorgeous–I will absolutely use this idea! One other method for printing on fabric is to use freezer paper: if you put the shiny side down on the back of the fabric and dry iron on medium, the freezer paper will stick. After you run it through the printer, it just peels right off. I’ve actually used both methods and have found that the card stock method actually works best for me. When I used the freezer paper method I was having paper jamming issues. Thanks for the suggestion though!! oh – i – cannot – wait – to – try – this! These are so elegant, Heather! Thank you so much. THANK YOU so much for this creative idea! I am wrapping up 10 finished bottles right now – the labels are the perfect touch. I would like to pass on a tip that worked well for me since the craft bond adhesive and I weren’t working well together on the bottles… Aleene’s “Jewel-It” Embellishing glue. It is made for adhering fabric to glass! I brushed a little under the crinoline and then on top of the frayed edges wiping off excess with a napkin. Perfect! Oh what a fantastic idea… thanks so much for sharing!! I host a craft night at my house and had ladies over last night. We made these!!!!! Can’t wait to see how the vanilla turns out! And the lables were so easy to do in the printer. Thank you so much for sharing!!!!!! Where did you find the vintage pins? I have a question on your labels, did you print with laser or ink jet? I love this idea…thank you so much for posting. I made the vanilla extract like you said, ordered really nice brown bottles from Amazon and now I am trying to do the packaging…but when I click on the printable labels I get an error message. Is anyone else having this problem? I tried from my home PC and now from my office PC. Not sure if I am doing something wrong or if there may be a problem with the link. Thank you & Merry Christmas to you & your family! Valuable information. Lucky me I found your web site by chance, and I am stunned why this coincidence didn’t happened earlier! I bookmarked it. First I’d like to say I’m so glad I came across your page, n I am very anxious to get started! I just cannot find the link to buy the vanilla bean online. Can you please give me the link? Hi heather, love the way the fabric looks on glass. Awesome idea! I used your labels on a few bottles, but would like to personalize the message. What font did you use? I do calligraphy, would that be of any help to me? I made your labels last year, they came out beautiful but the labels will not stay on the bottle. They keep peeling off easily. I used the Elmer’s spray glue and cleaned the outside of the bottle well so it should of stuck. Any ideas??? Hi! I love your site and was so excited to find your labels for homemade vanilla. I was wondering if you have a smaller version of the printable that might fit 4 oz bottles? 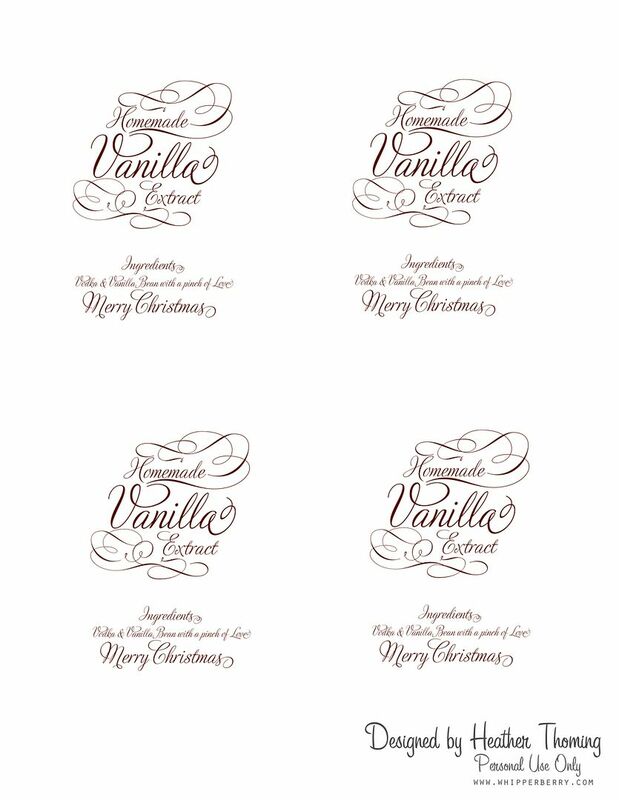 Our vanilla is already made and we want a label as beautiful as yours to package for Christmas, but these are just a bit too big. If you can help, I would greatly appreciate it!